Potomac Club Condominium is comprised of 529 condominiums and townhome style condominiums in Woodbridge, VA built by Pulte. Most homes have private driveways or garages and some even fenced in yards. 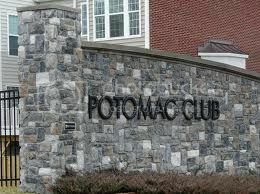 Potomac Club Condominium has access to the Master's clubhouse, gym, indoor/outdoor pool and tot lot. The Association is located just across the street from a brand new shopping complex with name brand retailers, boutiques and fine dining. Potomac Club Condominium is just minutes away from public transportation, Potomac Hospital and great shopping at Potomac Mills Mall. *School assignments may vary. Please contact the Prince William School District for any revisions in school assignments. For more information about Potomac Club Condominium, please contact The Crews Team at 540-692-9144. Sign up on our website to get the latest homes for sale in Woodbridge. When it comes to Potomac Club Condominium, The Crews Team is here to provide you with exceptional service.